1984 or 85 at RAF Bawdsey. Courtesy of Terry Bright (OC MSF, RAF West Raynham). Photo taken in the gardens of Bawdsey Manor. Terry believes it was a dinning in night after an 85 Sqn Engineering Conference. 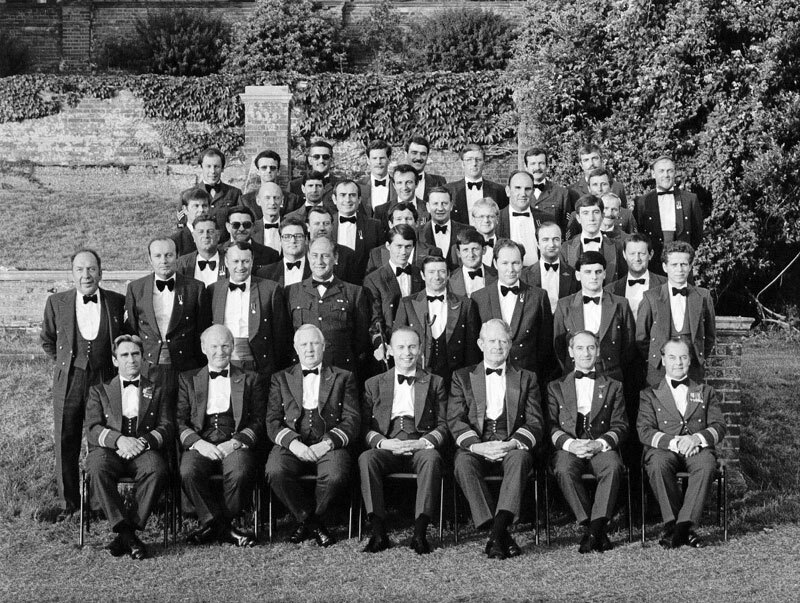 A few stalwarts of the Bloodhound system in this photo! Terry's comment: Some young engagement controllers present so it was a good job the photo was taken before the meal. I know we all stayed the night in the manor so it wasn't far to stagger to breakfast! 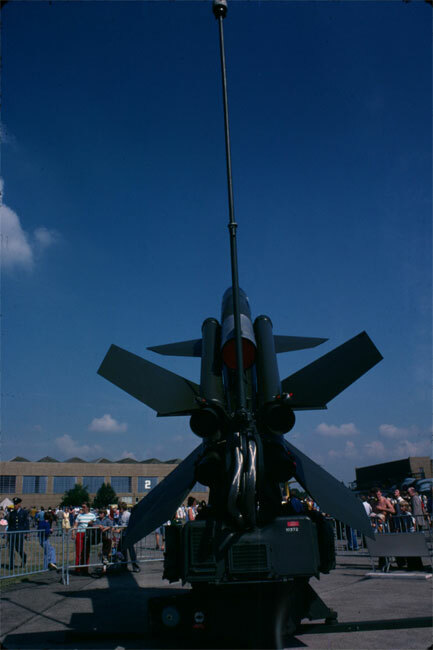 Neol was on the MT section at RAF West Raynham and served as a driver for 85 Sqn, 1980/81. 85 Sqn's display bird in transit, i.e. 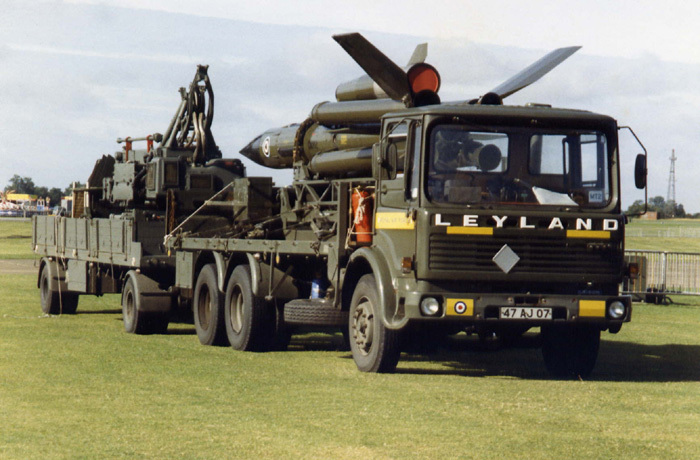 bird on a lorry and launcher on the trailer. Noel believes the photo was taken in 1980/81 possibly at Clacton on Sea. 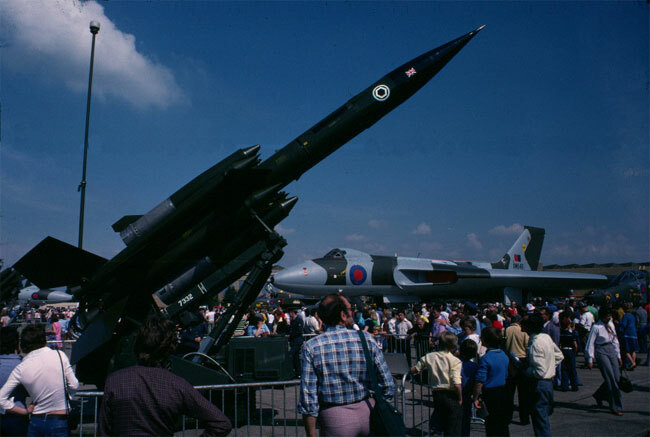 Two images from the Silver Jubilee display by the RAF in 1977. Roger Jones prior to the public day.